Your home and your business are two of your most costly, and most prized, possessions. Chances are, a busy schedule keeps you from spending as much time maintaining them as they deserve and need. 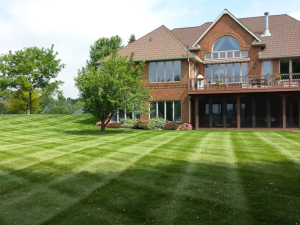 Let us handle your outdoor maintenance for you. We’ll take care of the lawn mowing, spring and fall clean–ups, pruning, edging, sprinkler system maintenance and bed weeding. If you have a sprinkler system, the arrival of Spring means getting it started up again, and we can handle that, along with winterizing it properly for the next year. Your landscape will be the envy of the whole block! Contact Us today for a price on a prepaid season maintenance package.